Retirement planning is becoming the most important financial planning in our lives due to increasing uncertainty of career and job. People are now interested in retiring early. Many of my friends and colleagues are very much interested in fixing their retirement by the age of 45 or 50 years. They have a dream of doing something of their own in the future without affecting the quality of life. For proper retirement planning, you should start saving at a very early stage of your career. Your job becomes very easy if you start early at the age of 25 years. Experts are saying that start investing from your first income for the retirement. 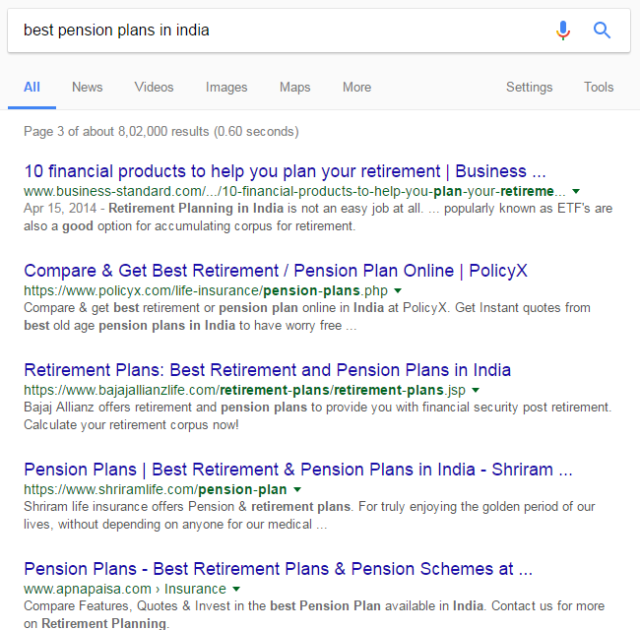 If you google with best pension plans in India, there are a number of search results which shows you the numbers of available pension plans in the market and compare them. There you have to fill up your contact details and they will push you to sell their product after that. So, beware of these and try to make an informed decision for your happy retirement. Try to identify the requirement and know the financial products by which you can save for retirement. 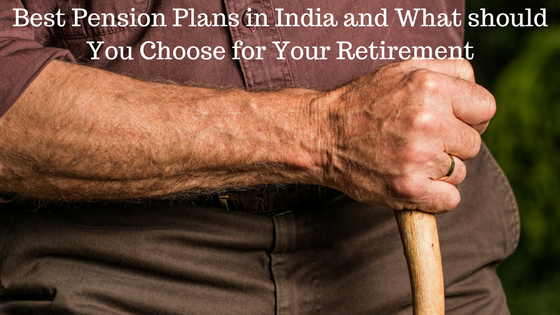 People often ask me that which pension plan they should opt for their retirement income. They are concentrating the regular or monthly income during their retirement life and ignorant about how the money is growing. In short, people need assurance of regular income after retirement from work. There are two phases in every retirement plan. One is accumulation phase and another is distribution phase. When you start saving from that time to your retirement you are accumulating the retirement corpus which is accumulation phase. After that, you start taking money from the retirement corpus for monthly expenses which is called as distribution phase. If you start investing at 30 years age for retirement and you retiring at 60 years and live up to 80 years age then 30 years is the accumulation phase and 20 years is the distribution phase. There are two types of pension plans in India. Deferred Annuity Plan – You start the saving from your early age and at the time of retirement buy an annuity plan with the saved corpus. The annuity plan is fixed when you are in the accumulation phase. This principle is followed by most of the best pension plans in India. Some of the examples of deferred annuity plans are LIC Jeevan Nidhi, New pension scheme, HDFC Life Personal Pension plus etc. Immediate Annuity Plan – You invest a bulk amount in a plan from when you want to get monthly income. Here, the accumulation is by you and according to your plans. You get the money from different savings and invest them into a pension plan. 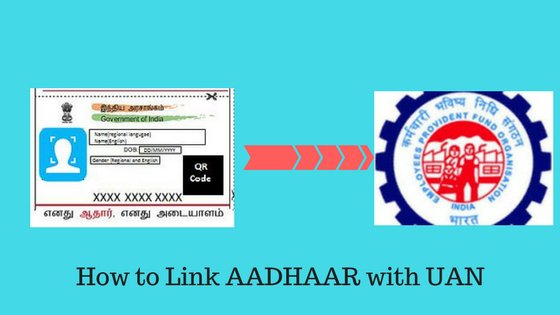 Some of the examples are LIC Jeevan Akshay VI, HDFC Life new immediate annuity plan etc. As it is already discussed that younger generation believes in hard work, saving more and early retirement. They need assurance of regular monthly income during the retired life. The pension plans with deferred annuity ensure that regular income right away. You can set our frequency of payouts such as monthly, quarterly, yearly etc. as per your requirement. Another advantage of the deferred annuity is that you don’t have to think of the investment at the time of your retirement. The interest rates are slowly decreasing in India. Hence, after 20-30 years when you will retire, it is probable that interest rate may go down and you have to invest more amount of money to get the same amount of pension. By investing the right away in a pension plan you are assuring a fixed amount of pension for a lifetime. The biggest disadvantage of pension plans which I feel is locking of your money. You are saving the money and you have to spend it for your retirement. 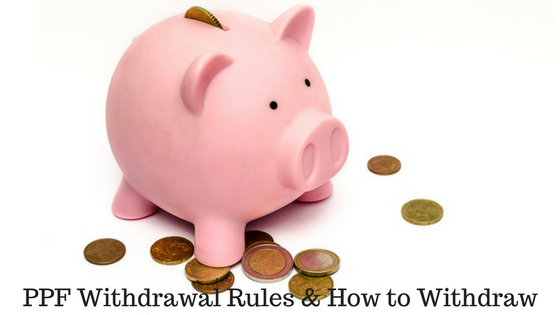 You cannot withdraw or change to better investment option in between. In the case of NPS, you can withdraw a maximum of 60% of the corpus at the age of retirement and 40% is the must investment for buying the annuity. Moreover, the some of the maturity amounts is taxable which actually made it less attractive for investment. The interest rate of any pension plan is very low i.e. 6%-7%. This low-interest rate cannot even beat the inflation rate. If you invest in a small savings scheme like PPF, it will give you a better return. If you have more than ten years in your hand, you can save through SIP of equity mutual fund which gives you far better return with respect to pension plans. Annuities are less attractive because it gives you simple interest. Money is not compounded in these pension plans. Remember, all the small savings schemes like PPF, EPF etc. gives you the facility of compounding the money. Annuity plans are assuring the fixed monthly income when you are investing the money or in the accumulation phase itself but it fetches a very poor return. Experts suggest investing in SIP of equity mutual fund which will give you the good return in long term. If you start late you can invest in debt based mutual funds, fixed deposits etc. Once you invested in the pension plan, you cannot access the money. The maturity amount from the pension plan is not fully tax-free also. Hence, it is better to invest the money where you will get a better return in the accumulation phase and use it to buy an annuity for monthly pension during retirement. Will be happy to add your valuable comments.